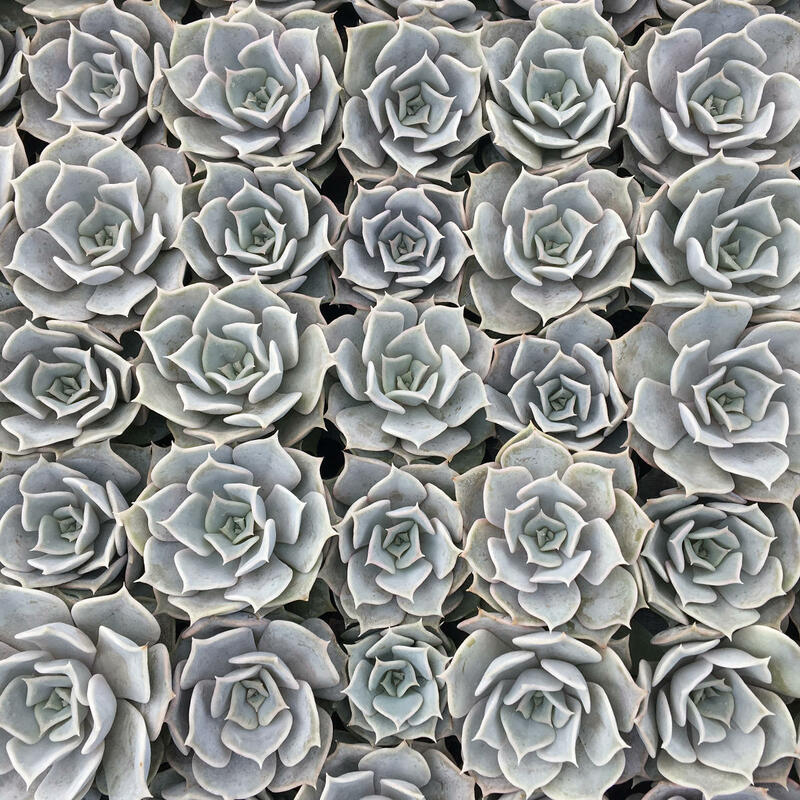 Echeveria lilacina is a very attractive, slow growing Echeveria, up to 6 inches (15 cm) tall. The leaves are silvery-grey, spoon shaped, fleshy and arranged in a symmetrical rosette, up to 10 inches (25 cm) in diameter. This species is slow growing and drought-tolerant. Flowers are pale pink or coral-colored. They emerge on small short arching racemes on the top of reddish stems of about 6 inches (15 cm).